Prime Design Solutions serves as the marketing department for 1889 Foundation, providing marketing strategy and execution. The 1889 Foundation, Inc. formerly known as Conemaugh Health Foundation, was the recipient of funds from Conemaugh Health System’s sale to Duke LifePoint Healthcare in September 2014. In this process, the foundation separated from the former Conemaugh Health System to become an independent non-profit organization. The Foundation’s newly-revised mission is to support innovative programs and initiatives that improve and transform the overall health and wellness of our region. 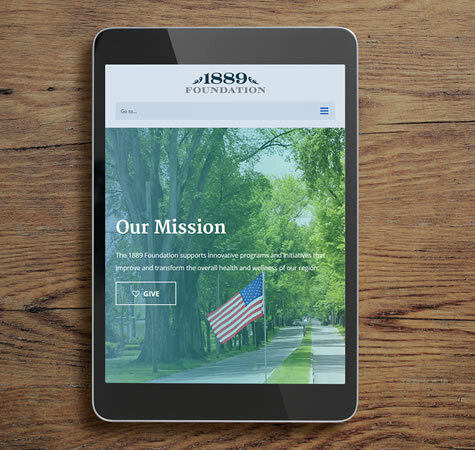 With a new name, new mission and a bigger opportunity than ever to make a difference, the 1889 Foundation came to Prime Design Solutions for marketing strategy and execution. 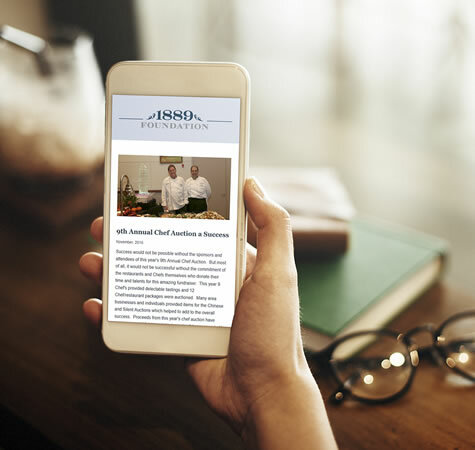 The 1889 Foundation holds annual fundraising events such as the Chef Auction and the golf scramble. Prime Design Solutions creates marketing materials to support these, from invitations to brochures to programs. When needed, we provide a photographer to document these events. Prime Design Solutions helps with the writing of press releases, and helps amplify the message through website and social media posts. In addition, Prime Design Solutions provides photography of press conferences and other special events. Additional print collateral Prime Design Solutions writes and designs for the 1889 Foundation include items to communicate with the organization’s constituents, such as an annual appeal and print newsletter. Prime Design Solutions implemented a template website, an affordable way to meet the foundation’s needs, and took original photographs in Johnstown to illustrate it. When needed, we write and post news articles on the site, and assist in updating the content. We also designed a responsive e-newsletter template for the organization. Prime Design Solutions designed new signage for the 1889 Foundation’s building, and had it fabricated and installed.